However, although you'll get great value for your money, it is still an entry level treadmill so you'll be better off keeping your expectations low. If you're looking for an affordable treadmill to walk on and if you're not that heavy then the Merit 715T Plus is definitely worth buying. It is one of the best $299 treadmills in the market today. However, if you're a serious runner then you should stay away from this machine as it was not built for runners. You'll be better off buying one of the $1,500 treadmills in our best treadmill page. What the Merit 715T Plus offers? 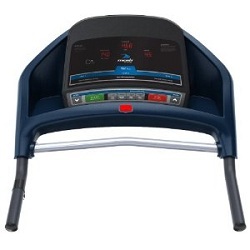 The Merit 715T Plus treadmill comes with a 2.50 hp (not continuous duty) motor. This motor is just perfect for walkers but would not have enough power if you plan on running. It has a maximum speed of 10mph but try to avoid reaching full speed as it might shorten the life of this machine. It also has 3 levels of manual incline that can go up to 5% for added intensity. This machine also features 4 pre-set programs to help you quickly start your workouts and provide variety. There's also the 3 window LED console that shows you your progress during your exercise. The 18” x 47” workout area gives you enough room to feel comfortable while walking. The Aerosoft(tm) cushioning provides added protection to your joints by reducing impact so you can avoid injuries. And finally, the Merit 715T Plus comes with short warranties but that is to be expected with nearly all budget treadmills especially those that are being sold for less than $500 since quality was sacrificed to keep prices low. It offers a lifetime warranty for frames, 1 year for the motor and 90 days for parts and labor. As I mentioned above, the biggest weakness of this machine is its quality. Simply put this treadmill was not built to last very long. So if you plan on buying one you should take real good care of it and avoid running on it. I would recommend the Merit 715T Plus treadmill but only to those who can't afford a more expensive treadmill and won't be using it for running. If you are a serious runner, this unit is not for you. 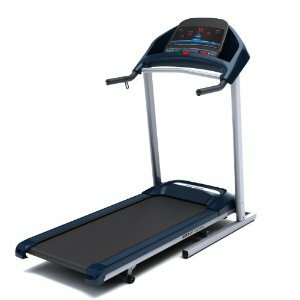 I suggest you use our best buy treadmills page to find a treadmill that fits your need. If you plan to buy this treadmill, I suggest you buy one from Amazon. Do a search for "Merit 715T Plus Treadmill". You can get it for just $299.00. Once again, if you plan on buying Merit products I suggest you buy from Amazon. Use the search box on the right and look for "Merit Treadmills".